At Pleasant Pops, there are several ongoing controversies: would you rather see a stadium concert with Biggie or Tupac? Is Lebron or Michael the ultimate basketball player? Who is a better dancer, Britney or Beyonce? (uhm, that one’s pretty obvious I think). Of course there are work related controversies too, like whether to put ice in an iced drink before or after the espresso or is it better to play quiet, melodic music on a rainy day or upbeat, happy tunes to brighten the atmosphere? Not to mention the ongoing controversy of which Pop is truly the staff favorite, Mexican Chocolate or Coconut Cardamom? Usually we can settle the disagreement with a simple “agree to disagree,” but in certain cases we can look to the experts to help illuminate the truth. For instance: JRINK. 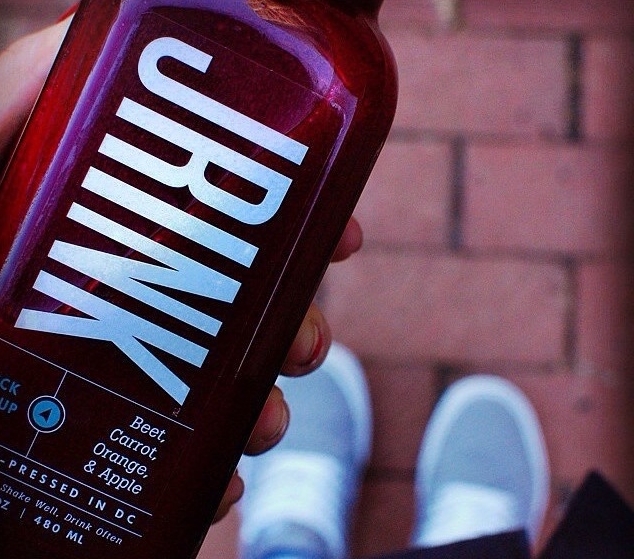 Is it pronounced “J-Rink” or a smoother, one word “JRink.” For now, we’re going with the single word pronunciation, JRINK, and loving it as a perfectly smooth, amazingly healthy, and extremely delicious cold-pressed juice company located in DC. Though we’ve been carrying JRINK for over a year now, January seems to be the perfect time to give these juices some extra attention. With New Years Resolutions in full swing, many folks are focusing attention on eating (and drinking) healthier in 2015. After experiencing the fast-paced, wall street lifestyle where soda and chips were the quickest remedy for thirst and hunger, two friends joined forces to create JRINK. Rather than thinking of JRINK as a diet or cleanse, their website recommends seeing JRINK as an opportunity to push the “reset button [to get] access to unadulterated essential vitamins from fruits and vegetables that you would otherwise not consume”. 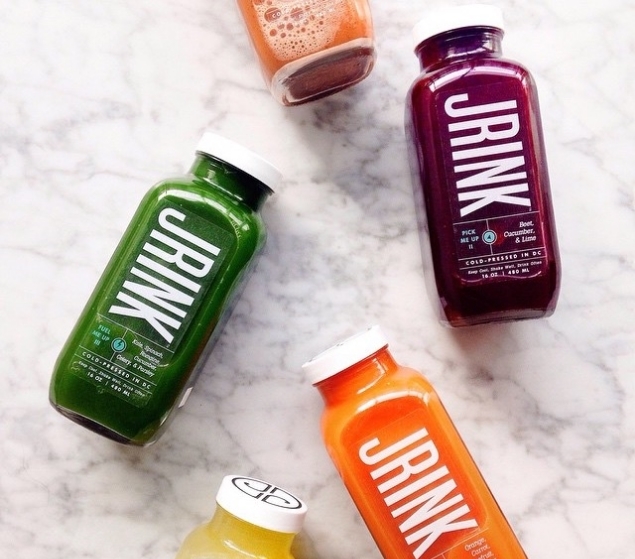 Each 16 ounce bottle of JRINK contains roughly five pounds of fresh fruits and vegetables which are put through a hydraulic juicer using “6 tons of press weight to cold-press and extract liquids”. The drinks are unpasteurized and raw, keeping all the natural nutrients and enzymes alive, and never have added sugar. Though their shelf life is short (five days), the benefits of JRINK juices are vast and worthwhile: “increased mental clarity and energy, clearer skin, organ and tissue cleansing, [and] weight management”. In addition to the two JRINK locations in DC (in DuPont and on 14th St.), Pleasant Pops is one of two retail locations where JRINK is available in the city. We have selected to carry four of their juices: Fuel Me Up 1 (pear, kale, cucumber, romaine & lemon), Wake Me Up (orange, carrot, grapefruit & ginger), Pick Me Up (beet, carrot, orange & apple), and Sweeten Me Up (pineapple, apple & mint). You can read about each drink and their specific health benefits on the JRINK website. And, as I just learned from the FAQ page, I’ll do my best to wait the three hours between finishing my Fuel Me Up and enjoying my Sweeten Me Up. 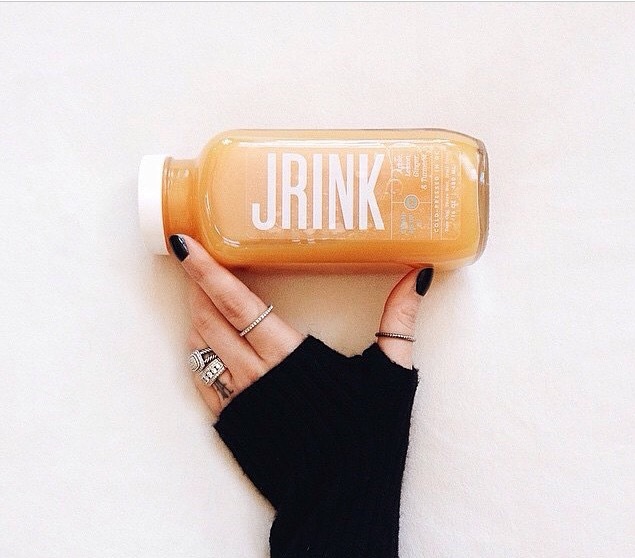 Also, check out their Instagram, @jrinkjuicery, because it’s awesome and most of these pictures are from there!! Newer PostCheer Spreading! Spreading Cheer! Hooray!